After the fervour surrounding the last Nike homage to 1998, the bar has been set pretty high for the next edition. 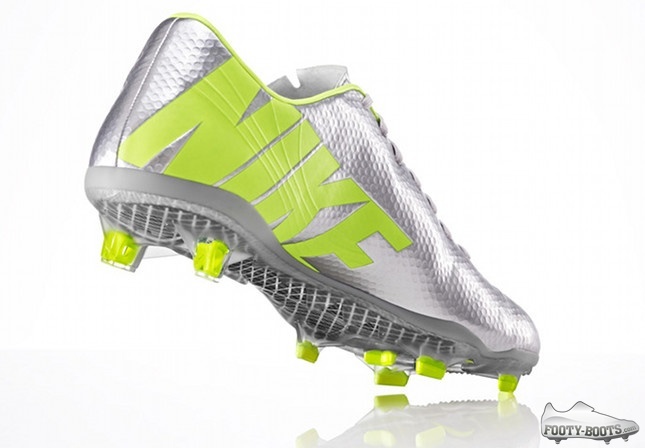 And thankfully, very few fans will be left wanting with the release of the' Nike Mercurial Vapor IX – Fast Foward ’02: Chrome / Lime. This time out, it’s 2002 in the spotlight and the legendary Chrome/Lime Mercurial Vapor I’s that Ronaldo wore at the World Cup in Japan and Korea..
That year, Brasil forward Ronaldo returned to centre stage debuting groundbreaking boot technology. With a new, sleeker silhouette that looked more track spike than football shoe, the 02 Mercurial Vapor was Nike's first sub-200 gram boot. 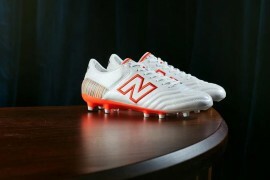 It also featured the company’s first stitch-less upper and was designed using Nike's first anatomical last. Wearing the boot, Ronaldo scored eight times in Japan and Korea and confirmed his status as the world's best striker. Ronaldo's bold chrome colorway stood out as a new icon of football footwear ” just as his 1998 boots had done. 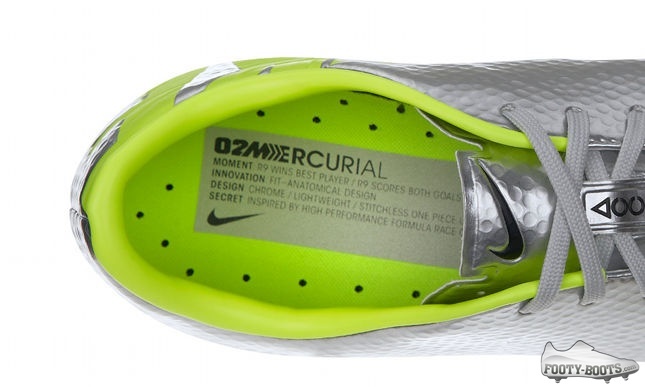 As with the last ‘Fast Forward’ edition, the Nike Mercurial Vapor IX ’02 – Chrome / Lime' is packed full of nods that will be beloved by fans of the original colourway. The sockliner packs a small fact sheet highlighting what makes the boot so iconic; from it’s defining moment to the groundbreaking technology that brought it to life. The instep Nike branding is also sublimated with the same dynamic lines that were embossed on both flanks of the Vapor I (which always helped us spot the top Vapor from one of the takedowns, where they were often stitched). Truly one of the most iconic colourways in Nike’s long history and arguably one of the boots that cemented their status as leaders in the boot market, the Swoosh have done an incredible job revisiting it on the Nike Mercurial Vapor IX – Fast Foward ’02: Chrome / Lime. Other than that, you’ll find the same Vapor IX that has been so prevalent over the last twelve months, with a Speed Control Texture upper, All Conditions Control Technology and dual density soleplate with twin rear studs. Wow that is pretty. I am glad the swoosh is more subtle than usual. Nice and elegant that way.